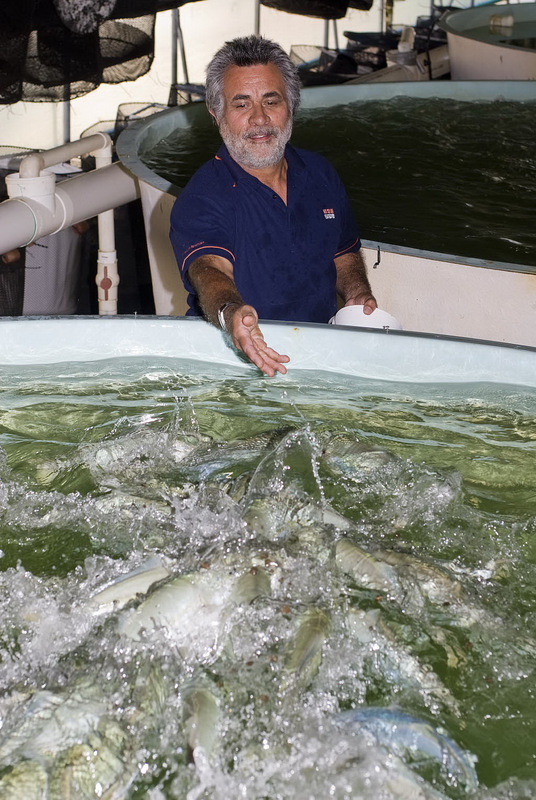 The NSW Aquaculture Association presents a field day for members and the general public. 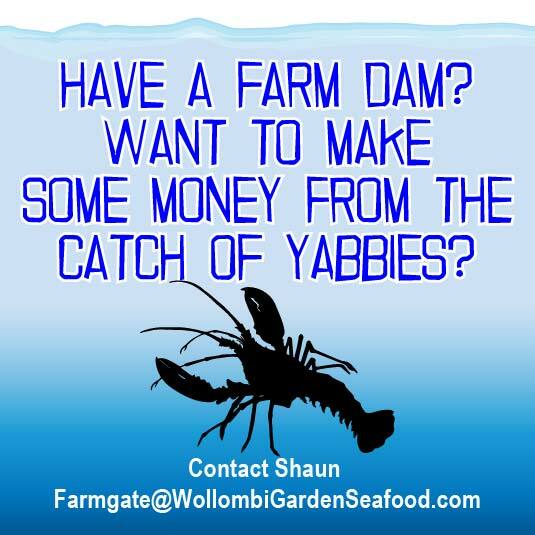 All those with an interest in aquaculture and growing leafy greens from fish wastes are welcome. The day begins at Port Stephens Fisheries Institute, Taylors Beach, NSW. 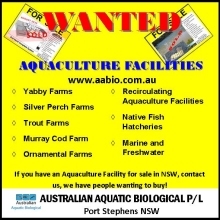 Join us for a private tour of the NSW Fisheries facilities, get an insider’s look at all the latest in hatcheries, recirculating aquaculture facilities, broodstock tanks and ponds, etc. 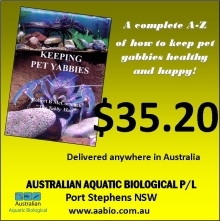 The Port Stephens Fisheries Institute (PSFI) is the key research institute for NSW. 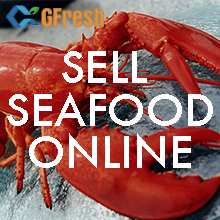 Their aquaculture research group develops technology for new or existing aquaculture industries. 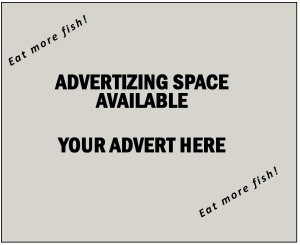 Key facilities used for this research at the PSFI include a mollusc hatchery, a quarantine mollusc hatchery, marine fish broodstock centre, marine fish hatchery, marine fish nursery facilities and grow-out tanks and ponds. 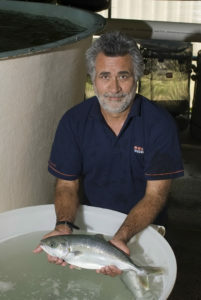 DPI Fisheries Technician feeding Kingfish in a growing tank at the Port Stephens DPI Fisheries Research Centre. DPI Fisheries Technician Ian Russell holding a sedated Kingfish at the Port Stephens DPI Fisheries Research Centre. A rundown on what NSW Fisheries does and its different research projects. 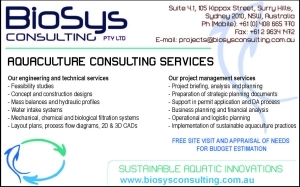 Aquatic ecosystem research, Marine Parks, Artificial reefs, Aquaculture research. 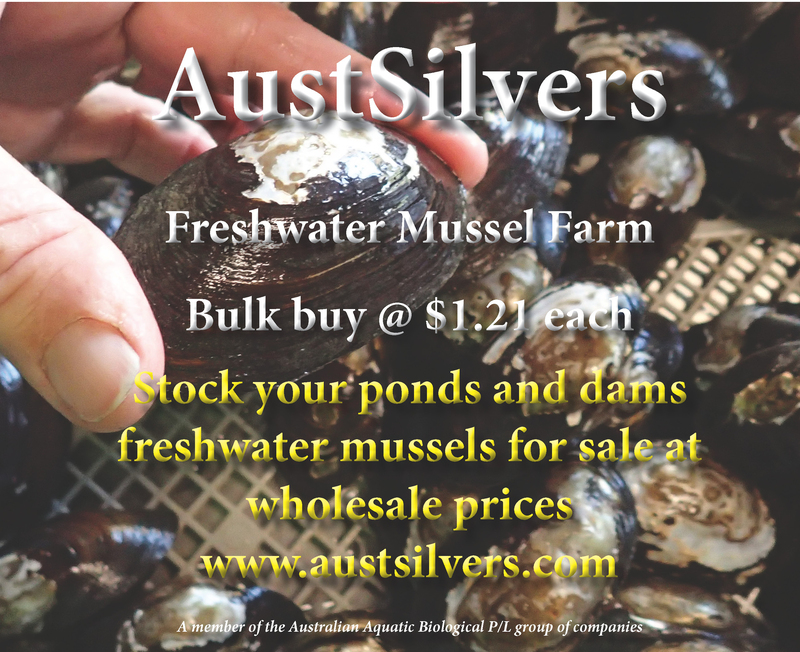 Oysters – Developing and improving hatchery and nursery techniques for Sydney rock, Pacific, Pearl and Flat oysters, as well as other molluscs (eg. pipis). Genetically improving Sydney rock oysters (eg for disease resistance, faster growth and improved condition). Researching the impacts of human activities and climate change on oysters. Marine Fish – Improving methods for hatchery production of mulloway, Australian bass, yellowtail kingfish and southern bluefin tuna. 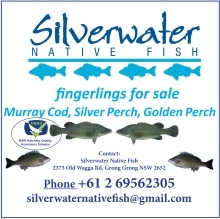 Producing Australian bass and mulloway for stock enhancement. Investigating potential of inland saline water for aquaculture. A highlight will be to see the new Yellowtail Kingfish broodstock holding and breeding facility. Algal Production – Production of live algae for PSFI and industry. Mass culture 7-12 algal species. 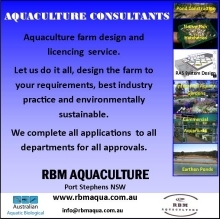 Recirculating aquaculture systems and ponds – A large number of different systems for different projects. 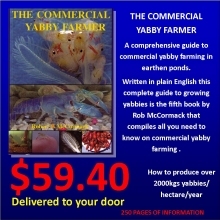 Nutrition, Diet Development, Developing and improving diets for fish and prawns. 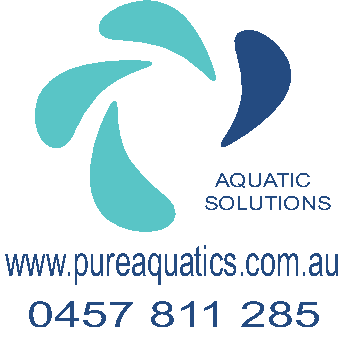 Currently focused on mulloway and yellowtail kingfish growout diets. 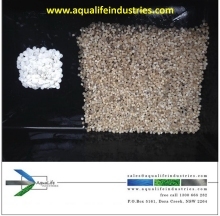 Replacing fishmeal with Australian agriculture ingredients. Producing more cost-effective, environmentally friendly feeds, etc. This is a bio-security site: Clothing and footwear must be clean and not have been worn during aquaculture activities within the last 48 hours. Flat soled, covered, non-slip footwear essential. 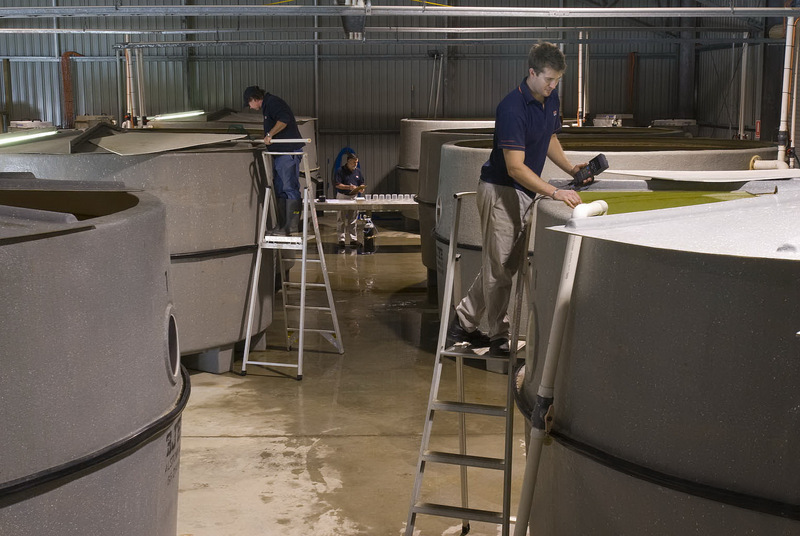 Various DPI staff working at tanks in the brood stock facility at the Port Stephens DPI Fisheries Research Centre. 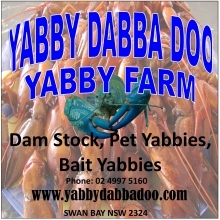 After the NSW Fisheries tour we head approximately 14 minutes drive down the road to Cookabarra Restaurant for lunch. Fresh fish chips & salad cooked as either a baked fillet or in a light batter or a chicken Schnitzel option for anyone that does not eat fish. 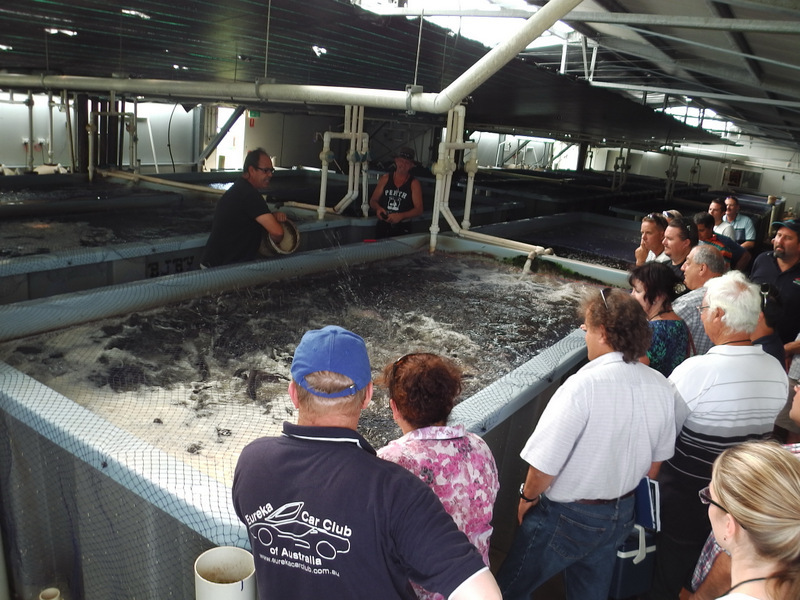 After lunch we take a tour of Tailor Made Barramundi and hydroponic farm. This is an integrated aquaculture facility producing 1000kgs of premium barramundi per week. 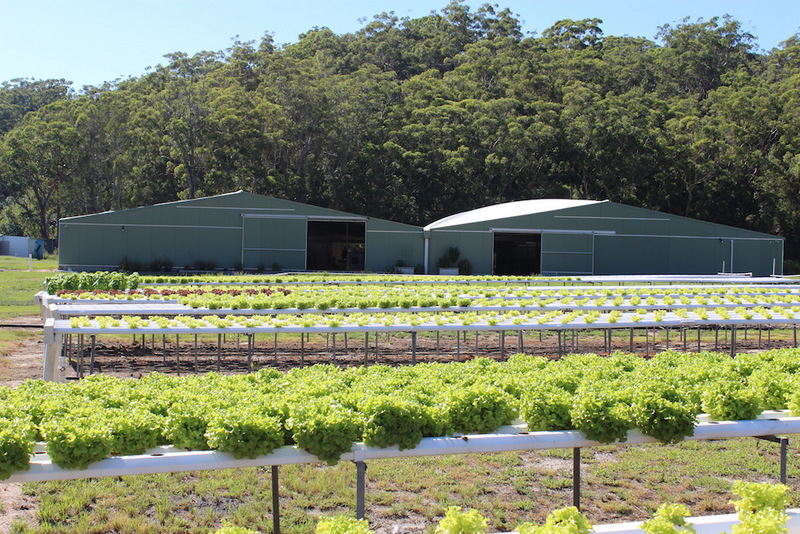 The integrated hydroponic tables produce Lettuce varieties and Asian vegetables, such as Boc choy and Baby boc. The tables can produce 22,000 heads over one growing cycle, which takes about 3-4 weeks during summer. Integrated Aquaculture: a system of aquaculture in which the waste produced by farmed fish or other aquatic creatures supplies the nutrients for plants grown hydroponically. 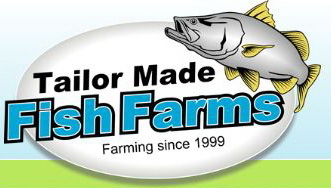 Tailor Made Fish Farms has been operating a fully functional production system for over 17 years, over this time they have developed an easy to operate, land-based modular fish production system that is both sustainable and environmentally responsible. Production of ‘year-round’ premium quality fish and vegetables is achieved through compact and controlled production areas using much less water than conventional methods, additional benefit and cash stream are enjoyed by utilizing wastewater from the fish production as a resource to produce a second crop of fresh vegetables. This efficient combination of fish & vegetable production has two major advantages, firstly water use is minimized, and secondly the environment remains protected by the vegetables ability to fully utilize wastewater from fish production instead of being discharged into the environment. There are limited seats available for this event. Register now to ensure your place. This entry was published on March 16, 2017 / Robert McCormack. 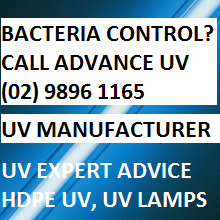 Posted in Events and tagged aquaculture, Aquaculture Events, barramundi, commercial aquaponics training, integrated aquaculture, Recirculating aquaculture. Bookmark the permalink.